Soothe and leave hands feeling silky soft with this moisturizer that’s made Almond oil and a few other nutrient-rich ingredients. Your hands are easily irritated, so they deserve to be pampered. Soothing Hand Cream is a fast-absorbing hand cream that calms skin that’s prone to irritation—moisturizing and reducing tightness. Made with almond oil and other carefully picked gentle ingredients, this helps keep hands soft and supple with every touch. Easily absorbed and made for sensitive hands prone to irritation. It helps strengthen the skin’s own protective layer. Vegan and clinically tested and approved for skin tolerance. 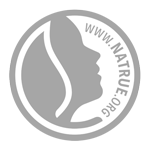 Certified natural per NATRUE standards. Free from synthetic preservatives, fragrances, colorants, free of raw materials derived from mineral oil. Apply Almond soothing cream into hands and massage until completely absorbed. Re-apply as needed throughout the day. I have had peeling finger tips all my life and have tried all typed of hand creams and randomly bought this one at whole foods and it literally heeled my hands it is the best hand lotion in the world, and the packaging is pleasant to look at unlike others. I buy these in bulk, please don't ever stop making this product!